Would you like to win the yarn to make your own Stegner? Cascade Yarns has generously partnered up with me to celebrate the release of this free pattern and they are shipping all the yarn needed to make this sweater to one lucky knitter! To enter, just subscribe to my mailing before midnight EST on April 26, 2019. I chose to knit this up in Cascade 220, one of my all-time favourite yarns. (I also used it for my Bacarrat and Dorsett sweaters earlier this year.) For Stegner, I chose soft neutral greys that will never go out of style - colourways Charcoal Grey (8400) and Light Grey Heather (8401) - and those are the colourways Cascade Yarns will be sending out to the winner. Hey, we can be twins! If you are already a mailing list subscriber, do not fret - you are automatically entered. The winner will be chosen by random draw and contacted for size and shipping details. So, about my mailing list: I’m in Canada, where we have strict anti-spam laws. I’ll never share your information, and I aim to keep my messages short, sweet and not unduly frequent. It’s where I share discounts, freebies, new pattern alerts and upcoming events. If you don’t find it useful, you can unsubscribe at any time. 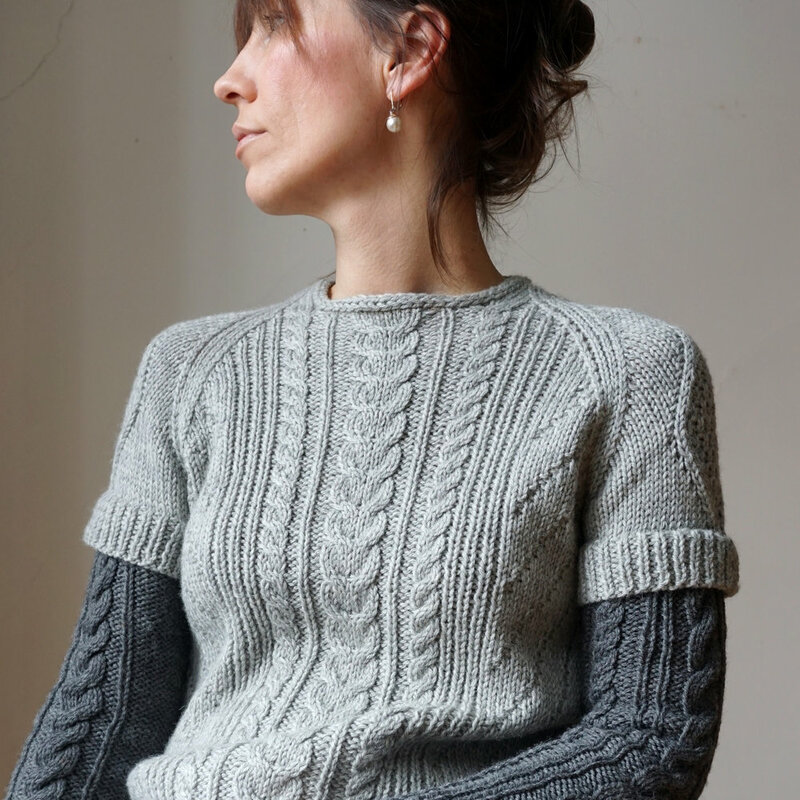 And don’t forget to download your free copy of the Stegner pattern on Ravelry or LoveKnitting today!